A paradise for outdoor enthusiasts is found at Canyon Creek Resort in scenic Winters, California. Pull up in your RV and enjoy RV hookups with other conveniences like a shower, laundry, Wi-Fi, restrooms, propane filling station and sewer hookups. 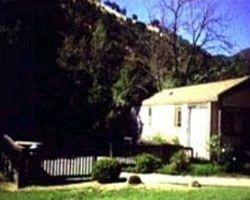 Cabins are also available for rent to enjoy the spectacular scenery and natural ambiance of northern California. Located just north of Napa, wine lovers and nature aficionados alike are naturally drawn to this scenic and historic place. At Canyon Creek Resort, you'll enjoy nearby beautiful, shimmering Lake Berryessa, one of the largest freshwater lakes in California. 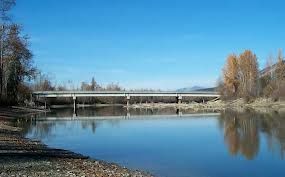 You're also close to Putah Creek so you can take advantage of some of the best trout fishing around. Cast your line and stay a while, as the beauty of nature inspires you. Everyone will love this verdant green space for its wealth of outdoor pursuits like golf, hiking and sightseeing, and for water based activities like boating, swimming, tubing, water skiing, sailing, rowing and fishing. This is one of northern California's premier resort destinations, and one that visitors look forward to returning to often. When you buy one of these RV resort membership resales at Canyon Creek Resort, you can take advantage of the spectacular scenery and fun activities any time of year. Wine lovers will enjoy being close to world-famous Napa Valley for the selection of winery tours and a wine train ride. History and museum lovers will appreciate the California State Railroad Museum, Sutter's Fort, Old Sacramento State Historic Park and the Sacramento Downtown Plaza. Animal lovers will enjoy spending a day at The Sacramento Zoo. A variety of casinos including Cache Creek Casino are nearby for entertainment and dining options. 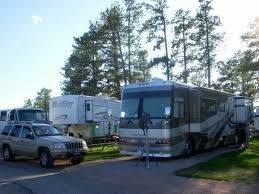 First-rate accommodations are found with your choice of RV Resort membership resales. You'll also enjoy nice touches like 24 hour security when you choose Canyon Creek Resort for your camping getaway needs. Spend time being active, relaxing and bonding with loved ones in the splendid beauty of nature. This forested RV resort features tree-lined RV sites and hookups for a memorable outdoor-inspired vacation every time. Contact Resorts of Distinction at Canyon Creek Specialist Today!